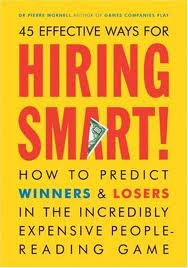 The book of the week was 45 Effective Ways for Hiring Smart! It's a book all about how to predict the best candidates when bringing new people into an organization. It is really really expensive hiring the wrong person, this book estimates that hiring the wrong employee costs at least 2 and a half times the salary you are hiring them. So if you are hiring an executive that makes $100,000 it will cost the organization a quarter of a million dollars if you make a mistake and hire the wrong person! An organization is defined by it's people. The people in an organization are the end all be all. There is no single more important portion of a business. The book goes through a list of 45 ways to hire the right person starting with before the interview all the way through the post-interview process. Most organization don't know how to interview... They think they do, but they are mistaken. I have been a part of one of these organizations and I have been interviewed by many of these organizations. If someone gives you a 'good interview' it proves nothing more than that they are a 'good interviewer.' Con-men are terrific interviewers, think fast on your feet and give a clever answers to questions, establish chemistry and build some rapport... that person will get a job with about 90% of organizations. What you don't know is that person could be a thief, a liar, or lazy. It's going to be an expensive mistake for those organizations than bring this person in. I'll quickly give you a run down of how to do everything you can to bring good people in. Screen your candidates in person- there is not enough time in a day to comb through resumes and interview based on hope. If you can set up to have a meet and greet with other members of your organization, you can make decisions whether or not you want to spend half an hour of your life interviewing them with just a couple minutes of small talk. You can arrange a dinner or even a resume acceptance, put out the word in the local newspaper and let the local colleges know. Using these methods, it's not uncommon to have a very large showing. Call your candidates- Talking to someone on the phone can give you all types of information. How do they answer the phone? What questions do they ask? If you get their voicemail, what does their message sound like? How quickly do they get back to you? You can eliminate lots of candidates just from your phone conversation. Face to Face- Your first interview is looking for integrity, not showmanship. Intimidation does not work, make them feel comfortable, and be up front and let them know you are looking for honesty, not a perfect answers. You can also let them know that you do background checks, reference checks, and drug tests, and you want to confirm everything you discuss matches with what your checks find. You can verify information against their resume- do they know what they put on there?, (dates, supervisors, experience, GPAs, etc.) Ask about criminal background and potentially drug use. Ask them what their references might say about them, good and bad- this give them an opportunity to tell you how their relationship really was. Walk- Take a walk around the office with them. When people are walked around, instead of sitting face to face, they are much more open and you can get some really good information. Ask them how they feel about different concepts that you are a expert on and see how they repond- watch body language carefully. References- This is very important. A lot of organizations don't give out information on past employees anymore, but generally, HR and the some Execs are the only ones that follow some of these company policies. If you can, get in contact with previous co-workers, more often then not, they will speak up. Another easy way to do reference checks involves calling when the contact will be out of the office- potentially at lunch. When you call, end your message with them by saying, "Please call me back if the candidate was outstanding"- this way you can get call backs from only the candidates' contacts that really are outstanding. You aren't looking for juicy gossip with reference checks, you are looking for an outstanding candidate. Don't get caught up in the game of only looking for negatives. From beginning to end, you should dwindle your pool of potential candidates down more and more. After your reference checks, background, and drug tests come back positive you should only have a couple more candidates standing. If they truly are outstanding, my advice, hire them both if you can. 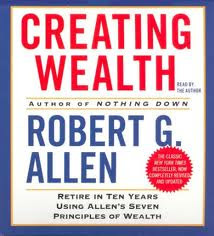 This book was very informative and it reinforced my knowledge on the subject. I think that anyone that hires for an organization should use every tool at their disposal to make the best decisions possible. This book is a tool to be used. As always, if you have any questions on the book don't hesitate to ask. I would be more than happy to help anyone that wants it.